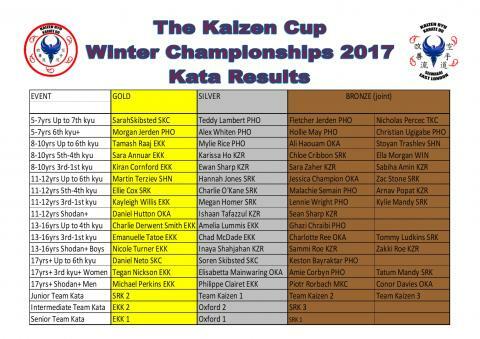 Congratulations to all that competed at the recent Kaizen Cup Winter Invitational Championships! Thank you to all the coaches, officials, volunteers, spectators, supporting parents and competitors for a fantastic day of friendly yet competitive tournament. Next Kaizen Cup will be on Sunday 1st July 2018, at the Jean Brown Indoor Arena, Redbridge Sports and Leisure Centre, Forest Road. Barkingside, Essex, IG6 3HD.